This All-in-One foaming gel cleanser is powerful, yet gentle to skin. Rated 5 out of 5 by MrsHoman from Removes Makeup Easily I'm not sure what all the negative reviews are about this product not removing makeup. I wear L'oreal foundation and it removed ALL of my makeup very easily. It did not dry out my skin and I have dry sensitive skin. People have complained that it isn't foamy enough....well it isn't bar soap and it does not foam like bar soap or foam like other harsh cleansers. It is a light foam. I will never use anything but this. I also use the rose water micellar water on my face after I use the foaming wash and then I use the rose water cream. Since I have been using theses products I have had nice moisturized clear skin. This cleanser does what it claims to do!!!!! 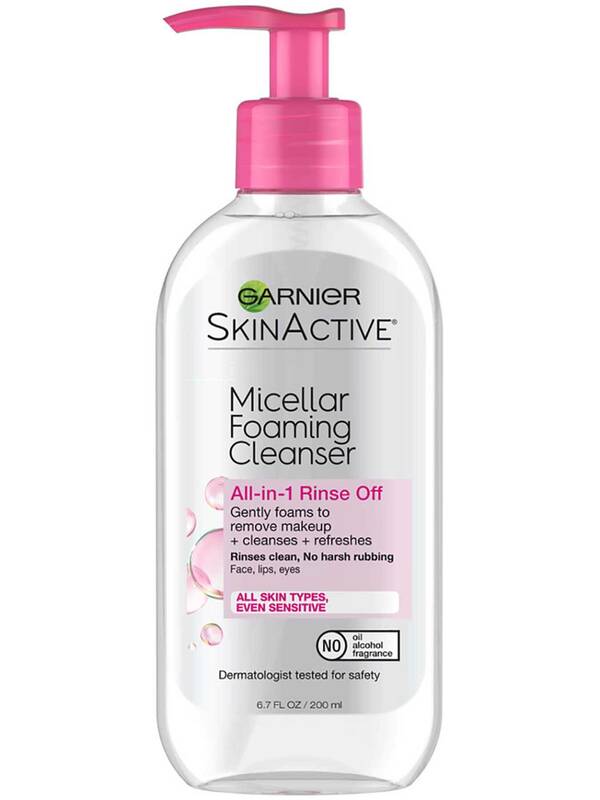 Rated 1 out of 5 by Navi2019 from Does not remove makeup I bought this product from Walmart as I was looking for a good facewash, the label of this product is quite MISLEADING because it did not remove my makeup at all. I am extremely upset and angry since I lost its receipt I cannot return and get another brand. DOES NOT REMOVE MAKEUP AS IT CLAIMS TO DO SO! Rated 5 out of 5 by lexie35 from A breathe of fresh air I bought this a few weeks ago and I’m so thankful I did! It has been so lightweight and hasn’t dried my skin out, nor made it oily. I’ve been looking for a product like this for months now, that gets the job done, but doesn’t hurt my skin and this is perfect!! 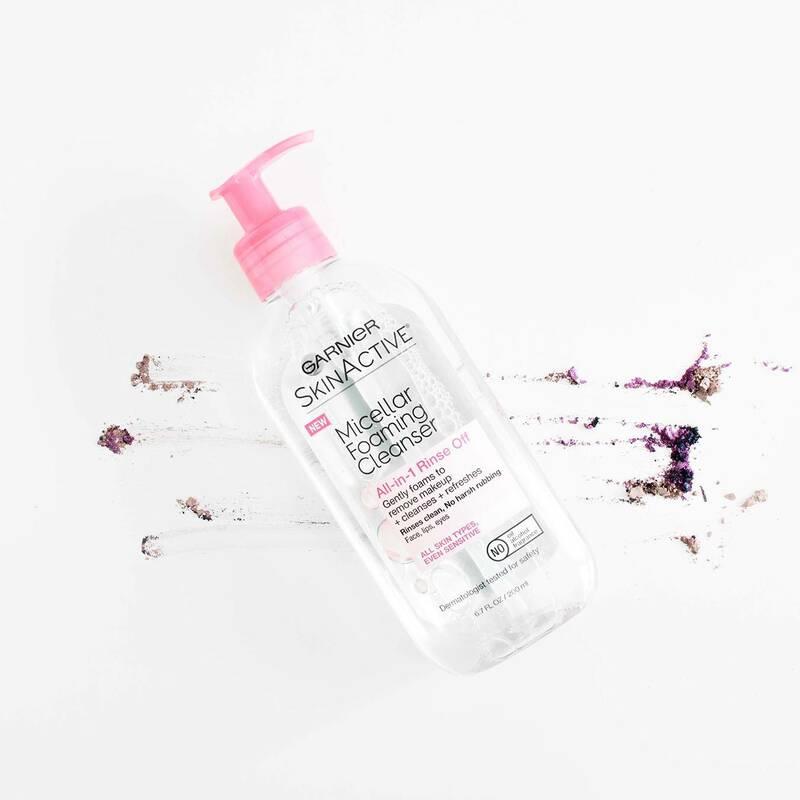 Rated 3 out of 5 by Mary_23 from Lightweight Cleanser I recently purchased this cleanser after seeing reviews for the regular Miscellar gel cleanser. When I put it on I had to rub my face very roughly before any foam would appear. Even then, the foam wasnt super foamy, I felt like I could get more foam from a bar soap or regular face wash. Despite this, it didnt dry my skin out and felt very lightweight. It did an okay job of cleaning off my makeup and didn't irritate my very sensitive skin. I think this product would be good for people who wear light makeup. Rated 1 out of 5 by syashelby from Not true to what was promised. Does not foam and does not clean makeup well. I only had foundation and lipstick on and even then, I had to wash it THREE times just to make sure that there isn't any visible residue. I tried using a makeup cleansing wipe after that and GUESS WHAT? I still have foundation residue. Really disappointed as the product wasn't cheap and I was really hoping to bring this on my vacation. 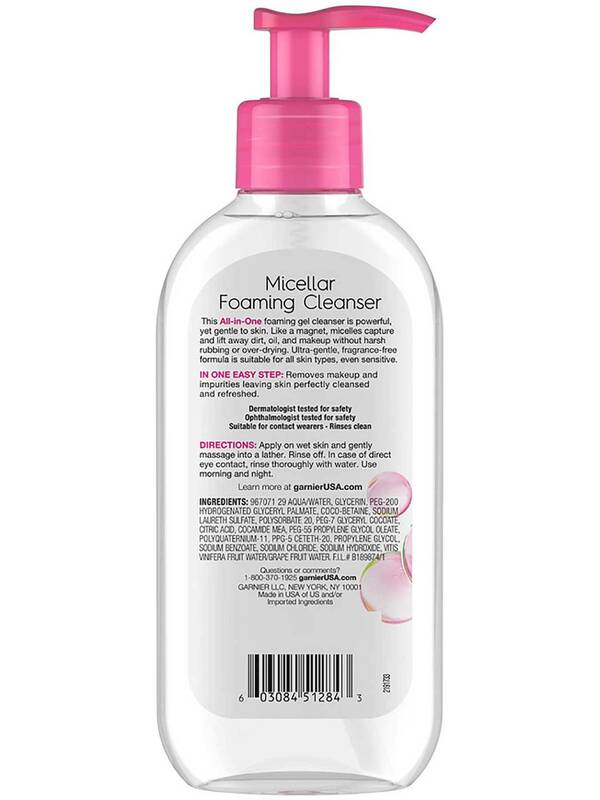 Rated 5 out of 5 by BaileyReign from So far so good I got a 1 oz sample bottle of this with the micellar cleansing water for oily skin. I love it so far. I don’t use it to remove makeup. I use the cleansing to remove make up and then wash my face with the gel wash. It foams pretty well doing it that way. My face doesn’t feel oily or died out when I’m done. I also follow it up with the 3-1 balancing moisturizer. Rated 5 out of 5 by MCollins777 from Gentle on Skin I bought this product about a month ago and my skin absolutely loves this product. It is very gentle and does not leave my skin dry or oily. For those of you that are having issues with getting the product to foam properly I would advise washing your hands very well prior to usage to remove all excess oils from your hand first! Thank you Garnier!